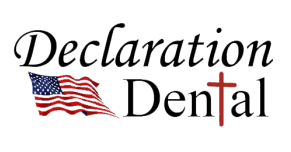 Here at Declaration Dental, our team’s focus is to provide “The Best Care in History” for our patients. We are here not only to work on teeth but to make a difference each and every day for the families we work with. Working at Declaration Dental means being challenged, having fun, and being proud of what you do. We not only do general dentistry, but also provide services in Orthodontics, TMJ/Headache, Mini Implants, as well as our “Whitening For Life”. We are currently taking applications for a Dental Hygienist. To learn more about this opportunity, call or stop in at our office..